U.S. senator Cory Booker, noted vegetarian and dog hero, announced on Twitter this week that he plans to eat vegan for the rest of the year. Booker, who’s been a vegetarian for over twenty years, started his vegan kick about two weeks ago. According to a Reddit’s “Ask Me Anything” session in 2012, Booker had tried switching over to a vegan diet before but it didn’t last long because of his love for Ben & Jerry’s ice cream. “There is something about those two guys I love so much, that I lean on, that I so badly just want to hug: Ben & Jerry – I couldn’t leave them. . .,” he explained at the time. Clearly, Booker is embracing his new diet lifestyle, even if his plans are to try it out for only two months (he called eating vegan for six months a “challenge”). 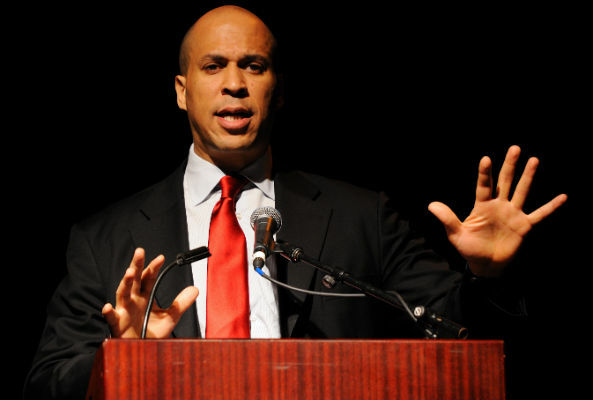 But, if Booker can remain vegan throughout the holidays (including both Thanksgiving and Christmas), there’s a pretty good chance he’ll be a life-long convert. Especially if Ben & Jerry’s go vegan, too. That’s wonderful, good for you Cory! He’s been a vegetarian for 20 years? Wow! Good on him. Coconut Bliss is much better than any ice cream!